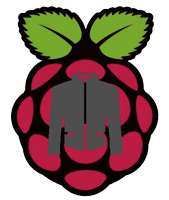 This guide will walk you through installing and autostarting Jackett on the Raspberry Pi. If you are looking to add your custom Torznab providers in Sonarr, there is a guide for that, the CouchPotato equivalent will follow. I will assume you already have Sonarr installed and therefore the required mono packages that Jackett also uses. The guide was tested on Minibian Wheezy and Jessie but will work on Raspbian too. Download the latest Jackett release, I have automated grabbing the newest release but if it doesn’t work check here or here to get the URL.